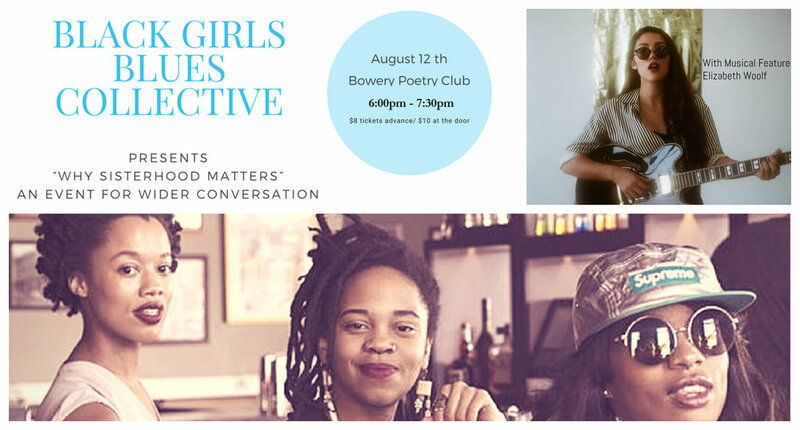 Join us on August 12th as we set space for wider conversation to discuss “Why Sisterhood Matters” and how we can speak out collectively on issues we face as a community. This night is a celebration for women of color creatives to meet and share their stories and opinions. A poet by blood, and a musician by trade, Elizabeth Woolf is a songstress at heart. Born and raised in Los Angeles California, Elizabeth spent her childhood surrounded by various musical genres, studying classical voice at The Colburn School in DTLA, and jazz piano with Tamir Hendelman. While studying at UC Berkeley, Elizabeth self-published her first book of poems entitled "Infection." In 2016, Elizabeth debuted her first musical "Dreams at 18" at PianoFight theater in San Francisco, which she wrote, produced, and directed, after developing the piece at the Eugene O'Neill Theater Center. In 2017, Elizabeth was accepted to the Conservatorium Van Amsterdam's Summer Jazz Program, and returned to LA later that year to host "Elizabeth's First Annual Pajama Jam" at The Mint. She has performed at venues such as The Viper Room, The Hotel Cafe, Black Rabbit Rose, and was featured on BBS radio in January, 2018.